Banith lay in his bed, gripping the scepter. It seemed to bring him strength since the elf had been brought here. His head screamed in pain, he found himself catching glimpses of images that he had never seen before. The dark speech constantly echoing in his head. Images of a large orc, gripping the scepter. His shouts can be heard over the grunting and yelling of what seemed to be thousands orcs. He could see a force of what appeared to be humans approaching. Then his body felt as if he was standing inside a fire, he screamed and started to writhe in pain. The door swung open with a start and a orc rushed in to help Banith. Banith's eyes opened and from his mouth came one word "Fire". The scepter started to glow a bit and suddenly the orc erupted in flames. Banith sat up and watched as the flames englufed the orc totally. From the doorway came another orc, looking down upon his brethren who was screaming in agony, then to Banith. Banith smiled, pointed the scepter toward the orc and spoke the word again. Banith had unlocked some of the power of the Scepter of Izg'bel. Telemachus came through to see the ash of the two orcs. "My Lord, I felt the surge of power from below. This is most Excellent." A grin stretched under his mask. "The spirit of Isg' bel is passing to you." Banith quickly looked toward the door as Telemon came through it. He had not suspected that Izg'bel's spirit would try to escape the scepter. The weakness and pain were gone, it must have been his body trying to resist the assimilation. His grip was strong, his legs full of energy. He sat up and then stood. "We are closer," said Banith as he rose, "Soon they will not be able to deny us of our destiny. The Fallen are weak right now, it is not their time." "I feel her trying to speak with someone, but there is something holding her back. If she can break through, there are those who will come for her. What do we do?" Telamon puts his thumb and finger to his chin and his arm behind him as he ponders the thought. Telamon, "Well they could come and we could kill them, we could kill her, but I do feel the scepter will keep her thoughts shielded from her friends. Though...If they aren't idiots, they may figure out where she is with pure wit." Olore pranced impatiently;tossing his head with a snort as he observed the waning sunlight. Time was flying by. Almost, he regretted his sarcasm. All it seemed to have accomplished was to make them to shocked to react. Snorting again-disgustedly ths time-the stallion stamped his hoof sharply, angrily, and sidled uneasily;ears alternatively lacing back or flicking forward. Restlessness burned in him. He wanted to be gone, to be away from this place; seeking Elestirne. And the dark power that was blocking him...Olore struck the ground angrily as that too,became clear to him. White sparks leaped up. Telamon... You... He left the thought unfinished as he half-reared in agitated frustration. If Elestirne does not kill you herself somehow before I get there I swear I will not hesitate to trample you into oblivion myself... 'Aloud', to Storm and Tsukasa, he said. I know where Telamon took her. But it will not be easy getting there. His tone was icy. Do I have to leave without you or are we going to be on the way? We have delayed far too long as it is. The silver stallion lashed out at the ground and half-reared with a frustrated snort;tossing his mane. Storm looked at Olore with a stern face. "Olore, old friend, I know you are eager to get this journey on and so we shall. But please just hold your temper, you should know I'm slow to make a decision." "On that note, we will ride to castle and request aid from Tatsamura since he was apart of the original party to rescue Elestirne. Now we must be off. We will re-supply at the castle with everything we need on this trip even for my oselle." With that note Storm led the group out of the gates and onto the road towards the kyuden. It was within that day that they made it to the castle because they were on a fast pace. Storm reached the gates of the castle and nodded to the guards. When the captain of the guard came to great them Storm ordered that the captain take the horses and have them tended for. Except Olore of course. Storm rushed into the castle with everyone behind him and found the room Tatsamura used for making plans. Storm opened the door and bowed before entering. "Tatsamura-dono, I have returned with grave news." Several minutes had passed since Wulf had grabbed Lady Elestirne's dual swords and found the stairs. Telamon had told him that she was at the top of the tower, so without hesitation he quickly ran towards the top, taking down guard after guard as he made his way up the tower. A few minutes later, he finally found the top as he ran up the stairs and straight for the beaten and bruised body of Elestirne. He quickly used his sword to break the chain as he caught her with his free arm, as his sword cracked from the middle of the blade to the top, as it was starting to be to war worn to use. Struggling upright and standing with an effort-agony flaring through her body, especially her wrists and legs-Elestirne discovered her swords nearby and moved to take them up. Again,agony flared through her wrists-one more than the other,likely broken-but she forced the pain down and turned to face the possible threat;favoring one leg. Only to find a familiar face-the silver-masked one that had helped her with the undead in the healing center and later been captured by Telamon. "You?? "she murmured in surprise. She shook her head. "I thank you silent one...but you should have just left me. I will only impede your escape,since I cannot keep up with you. And I doubt very much that Telamon will let me leave,or that I will be able to get very far. You should not have risked yourself so,silent one." Wulf only shrugged as he turned too the stairs just as two guards came up them, right in front of him. He quickly thrust his sword into the first ones neck, then tripped the other one. Before the second one could get up, he pushed the body of the first on top of him, as the sword then stuck into the seconds chest. He quickly grabbed up their weapons, a short sword and an ax, and turned to Elestirne and pointed to the edge of the building, a serious look in his eyes. "Bold." The word rung from no where. Then Telamon stood atop the spire. "Very bold my dear Wulf. I like that about you. Tell me, what is your plan now? Are you to jump? I see no rope." "I dropped a little bait and you took the opportunity. Very few have the will to get the job done. You have that will, and I wish to use it. There's no escape for you, you must see this. Instead I offer you a chance to free the elf. Do a job for me and she is yours?" 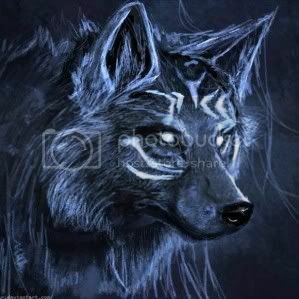 Wulf stops as he slowly turns to him, his eyes showing his distaste at the thought of the task. He took his book and wrote something in it and tossed it to him. : Whats the job? It said in quickly written, almost pissed off words scribbled on the page. Elestirne looked from the edge to the other, and back again. Her heart sank as the implications sank in. "Oh you cannot be serious,"she muttered to herself in elven. Dismayed,she eyed the edge and shook her head. "I cannot fly silent one. And unless you have tricks I know not nor can you. How shall we survive the fall?" The elf shifted her weight to her injured leg briefly and immediately paled, but grimly held her balance. It supported her,but only gingerly,and it would not hold her full weight for more than a few moments. If it came to running, she would never be able to keep up. She could feel her innate healing at work, but she was weakened,and even that ability could not heal the damage done over however many days she had been here in mere moments. She tensed as Telamon's voice rang out a moment before he appeared. Instinctively, her hands tightened their grip on her swords,and agony promptly flared from her injured wrists in punishment for forgetting. She winced, but fought to keep the pain from showing as she drew her battered frame erect;trying to appear stronger than she was feeling. Her silver eyes lanced into the sorcerer;glittering brightly. "You will not free me,"she said,her gaze steady. "I am your bait to draw out some of Mittelmarch's defenses and Olore;in turn, weakening the city further." The bitterness in her melodic voice was plain. As was the pain. "I cannot escape-nor would you allow me-and you will not kill me. So what will you do with me?" She held herself taut,erect;trying to keep her pain from showing,but clearly favoring one leg. Her eyes flared with both pain and anger as she continued. "You seized me to get me out of the way because you knew that I would help Mittelmarch in their struggle-and that I could turn the tide if you let me. And seizing me got Olore out of the way as well-for you knew he would come after me. And there's no telling who else was drawn out of the city on this foolish search for me;thus weakening its defenses more. You wanted Olore and I out of the way and you have accomplished that. Olore is on his way here,and I am your prisoner and unable to escape." The bitterness was more pronounced now. "And you purposely baited Wulf to make this attempt,knowing it would fail. There is no need to involve him further,so leave him out of it. My freedom-if even you would keep your word-would not be worth whatever you would have him do. The only place left for me to go is back to my chains." She cast a quick glance to the pillar and a faint,grim smile briefly touched the corner of her lips. "But you will have to find stronger ones,since Wulf broke those." She faced Telamon with no fear,still grimly keeping both her balance and the grip on her swords, despite the pain it was causing her. Telemon has suddenly disappeared in front of Banith's eyes. It was common for him to come and go as he pleased. Banith gripped the scepter tightly and made his way to the door. After a minute or so of walking the hallway, Banith came across what looked like a foot sticking out from around the corner. He quickly ran to it. There lay the body of an orc, cut down from behind. Banith looked up and saw no one, but who could it be? He felt his blood start to run hot, someone had killed one of his brethren. Throughout the keep and just outside of the keep, Banith's scream could be heard. Following the end of the growl, several slightly lower volume growls followed in response. Olore had pinned his ears back and shaken out his mane at Storm's remarks-but had refrained from commenting. He had set the fastest pace they could endure-casting anxious looks to the darkening sky all the while-and when they had arrived at the kyuden, had gone right into the structure with the others;not caring for the shocked looks some threw his way. Now he stood off to the side of Storm;swishing his tail as he waited for the mortal to finish speaking. His eyes were dark as he thought. If Elestirne was at Moruliima...then that would complicate things. Not only would it take a few days at fastest pace to even get there from the kyuden-at the very least,including stopping for nights-but they would also have to think of how to get in the city, locate and free Elestirne,and get back out again-without attracting too much notice. Telamon certainly knew and anticipated that he,at least, was coming-and would doubtless sense him when he drew near. And would certainly sense Tatsamura as well,if the wind-walker came. Drawing hs thoughts to the present, the silver stallion realized that Storm had finished speaking. Anticipating that Tatsamura would almost certainly ask what had happened, Olore spoke;making his thoughts audible to all four. Elestirne has been taken wind-walker. She was seized earlier this day as we rode out beyond the walls. By Telemachus-now calling himself Telamon. We are all that can be spared to search for and retrieve her though,as the undead are soon to attack and the city cannot be left too weakened. Olore snorted angrily,pawing the ground. Silver-white light flickered about his form. He has her in Moruliima, and likely heavily gaurded. It will not be easy finding and freeing her. The sceptor of Isg'bel is also there and its dark evil is just powerful enough to prevent me from speaking to her,or sensing her condition more clearly. Storm has come to ask you for your aid-since you accompanied the first time she was taken,when we first met. And we have little time. We have delayed too much already,by my thinking. As he waited,Olore turned his attention to Tsukasa and spoke again;addressing him only. For my words earlier I make no apoligies. You may be offended or no but you should not be. The words are not meant personally. Elestirne is my sole concern right now and any and all delay-in any form-chafes at me for, if I fail her, I fail the very reason I am here. The silver stallion pawed the floor uneasily,indigo eyes darkening. You will not understand. With unnatural speed Elestirne’s swords were ripped from her hands and skidded across the top of the spire. Telemon had gripped her by the throat, his nails piercing her neck. He dangled her over the edge looking to Wulf. The roar of Banith is heard. As he runs at him, Wulf starts to glow a light blue as a dispell forms around his body, ready to attempt to stop oncoming spells. Elestirne cried out in pain as her swords were ripped from her hands by an unseen force. Her wrists flared with agony. The sudden movement forced her forward; overbalancing her and sending her to her knees with another cry. Before she could scramble painfully back to her feet, she felt Telamon’s hand close around her throat; his long nails piercing her neck. That cry was cut off. Her injured hands though, flew reflexively her throat but Telamon’s grasp was too strong and she could not dislodge his hand. Effortlessly, the sorcerer lifted her and swung her out over the edge of the building; letting her dangle freely by her throat. “You never needed my power,” she rasped; forcing the words out painfully. “But it did not stop you from wanting what was not yours to have. If only you had learned the lesson I tried to teach you then...” She went silent then; trying to draw enough breath to be able to breath while at the same time recognizing the wisdom of keeping silent in such a precarious situation. She had not expected the sorcerer to be so unstable or unpredictable..nor so strong… Must be an effect of joining with the demon,she thought. She shook her head just faintly as Wulf went to charge Telamon. Her words came more painfully, and with more effort. "Do not be foolish silent one. Please. It is not worth the risk. I am not worth the risk." Her words create no response from Wulf. He acts on instinct. This is why Telamon likes him. Time seems to slow down. Fire erupts from the free hand of Telamon, but Wulf, with a blue glow, sprints through it. The ax cleaves into the shoulder of Telamon. His grasp of Elestirne releases and she begins to drop. The ax is left in Telamon as Wulf flips over him. Wulf and Elestirne begin to free fall. As this all was happening Banith charged up the stairs and dove after Wulf. Both Banith and Wulf were aware of the long drape dawning the Chu Ku’tal’s mark below. Wulf grabbed the wrist of Elestirne, the earth coming faster too them. He snatched curtain as did Banith they swung out from the Spire. The momentum sent them around to a balcony Wulf and Elestirne crashed into a table and chairs. Banith landed on his feet, unsheathed his sword and slammed it into the side of Wulf. Blood sprayed and the sound of it planting into the stone floor. Moments later Telamon floated down to them. The ax in his hand and his shoulder as if nothing happened. Telamon snatches Elestirne with the ax to her throat, it already drawing blood. "Your choice, Wulf. You're last one if you wish?" Wulf looked angrilly at Banith, pain shooting up his side as he looked over to see Telamon a few seconds later, the ax seeming to have had no effect. After hearing his proposal, and knowing that neither of them would let him waltz out of the city with Elestirne without finding this hill giant, he nods at Telamon as his mask makes a cracking noise revealing a large crack from the teeth to the forehead but still holding together. Masamune sat in his room. Usually reports were laid out over the low sitting table and nearby floor that he looked over, but not today. The room was spotless, no reports laid about. Instead, the room was quite, and dark. Two candles were lite on either side of the room, giving off just enough light to give form to the Shogun. He sat there meditating, his legs crosses, and his hands gently resting on his lap. His expression was firm, no emotion seen in his face. The sliding door slamming open letting the wind rush in, blowing out the two candles. The words of Akururi rung out with urgency. Tatsumura slowly opened his eyes, his expression, appearing to glow with a bluish-violet light. The sight of only his glowing eyes in the surrounding darkness may come off as unnerving. He opens his mouth, is words ringing out with a calm, yet firm tone. Elestirne cried out as Telamon released her reflexively from the jolt of Wulf's attack and she fell helplessly. She was aware of Wulf and another falling as well. Her cry became a scream of agony as Wulf made a grab at her and snatched one of her injured wrists;at the same time grabbing at a long curtain or banner of some sort. Blinding agony raced up her arm in hot waves and the sudden jerk and halt of momentum nearly tore her from Wulf's grasp. The momentum from grabbing the curtain sent them around the spire and into a balcony , or room of some sort. The battered elf rolled as best as she could when she hit the floor-trying to prevent any further injuries. She was too late though-or her reflexes too dulled by hanging by her wrists for so long-and she slammed into something solid. An involuntary cry was torn from her as pain seemed to flare up everywhere at once. She started to move hesitantly-trying to gauge what extra damage had been done-but she felt someone seize her again. She heard Telamon's voice around the same time she felt the ax on her throat;its sharp blade already drawing blood. She winced,and tried to ease her throat away from the deadly edge;having no other choice but to wait silently for what would happen next and trying to endure the hot waves of pain and agony flaring from her wrists,side and leg. Telamon lets Elestirne droop into a chair and he kneels down to Wulf. He rips out the sword with a smirk on his face. “My Lord.” Telamon thanks the orc. He puts his hand to the wound. Wulf feels the heat, then a coldness of death and then his wound is healed. Wulf rises and is handed his ax. Wulf nods reluctantly as he starts to walk towards the door, gripping the ax tightly all the way, as he wonders how to get back to mittelmarch. After Telamon had put her down in the chair Elestirne slipped out of it to her knees. She remained there for a long moment; holding her throat gingerly with her less injured wrist as she cradled the other to her chest. She couldn't speak for a few moments, but the look she leveled on the sorcerer spoke untold volumes. When she had caught her breath enough-after Wulf had gone-she spoke. "What will you do with me now Telamon?" Her silver eyes-clouded with pain-lanced into him, but their gaze was exceedingly wary. "Do you drag me back to stronger chains and more torment? I cannot possibly escape on my own." Her tone was bitter. "Do I go back to being bait?" She bowed her head then, shuddering with pain;waiting for what was to come. Banith sheathed his weapon and walked over to the elf. He kelt down close to her. "Bait is alot better than food for my brethren, elf. Your friend in the mask has killed my men, when I showed him courtesy. I will make sure to repay his 'kindness' before this is all over. If it were up to me, the next time the light of day hit your face, the world would not recognize you, but Telemon has plans for you." He stood and walked toward Telemon. "This Oof you sent for, I do not know the giant but let's hope he plays along with you, brother. The elf is becoming quickly a hindrance in my mind, but you have your reasons to keep him alive."